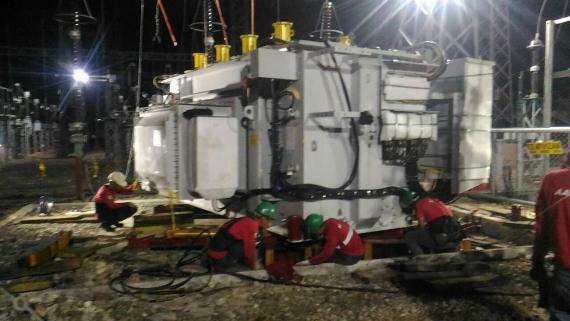 AAI + Peers Inc. in the Philippines have completed delivery of an OOG transformer to Zamboanga. 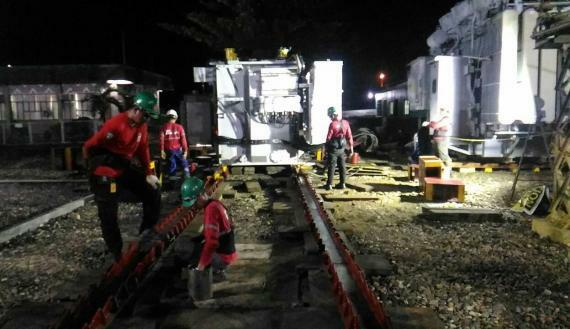 The project will eventually involve the delivery of another 2 of the same transformers. Unloading & spotting at the site via manual jacking & skidding. 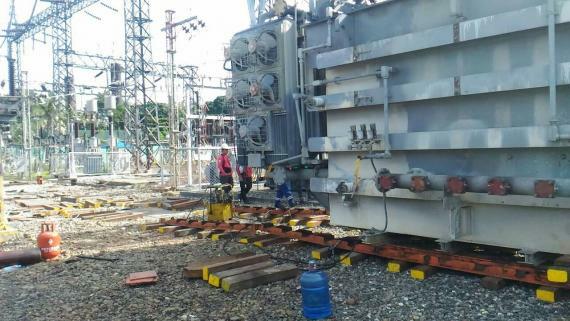 Jimmy D. Chung II at AAI comments; "The route for the delivery posed a challenge as the substation is located in the far South of the Philippines and the most direct route passed through an area which is allegedly heavily infested by local rebels causing a big risk in transporting this high value OOG cargo. However, with proper planning and in-depth route surveying, AAI was the only project forwarder that provided a special route for the client that would lead to a risk-free transport. Even though the special route entailed an additional 4 days of transport, the safety and security of the cargo was important." 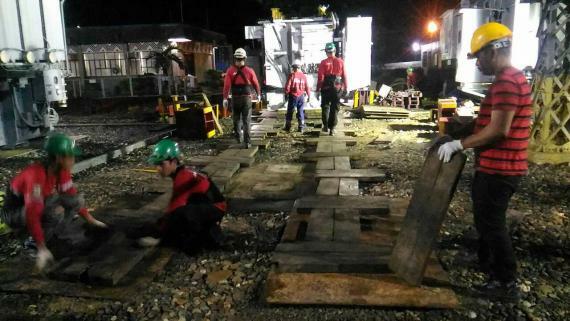 "Another challenging factor at the site was that the proximity of the transformer foundation was 150m from the possible laydown area and surrounded by high tension wires which eliminated the possibility of unloading and positioning via cranes. Therefore, we found a solution by using a manual jacking and skidding method as pictured in the gallery below."